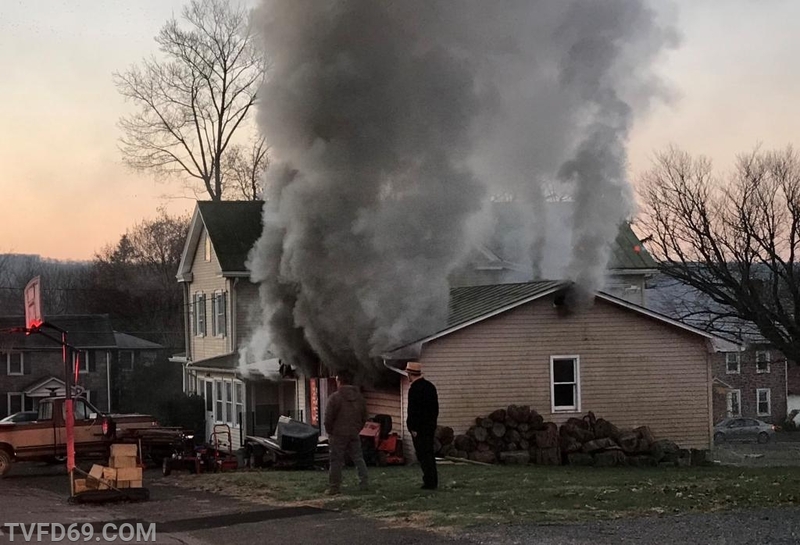 At 6:38am, TVFD and mutual aid companies were dispatched to a garage fire at Main Street and Walnut Street in Caernarvon Berks. 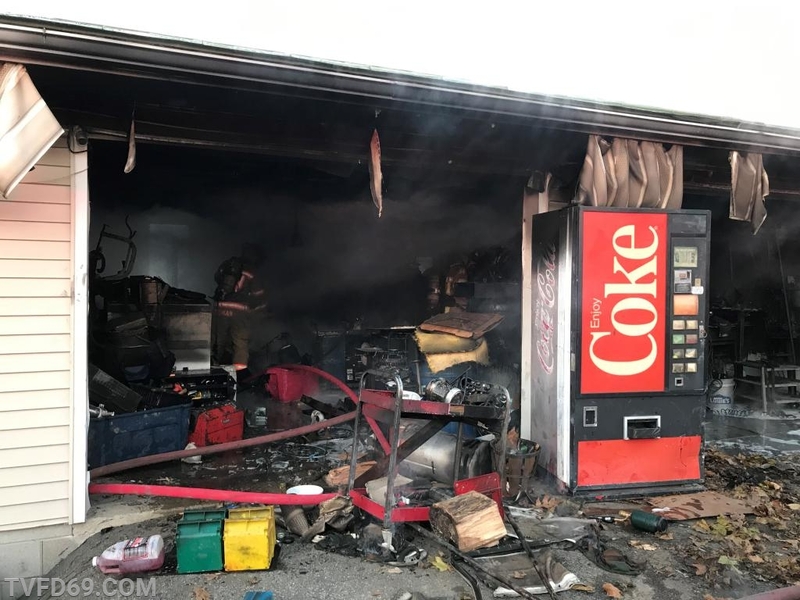 Responding units were advised of several 911 calls reporting a fully involved garage to the rear of the property in that area. 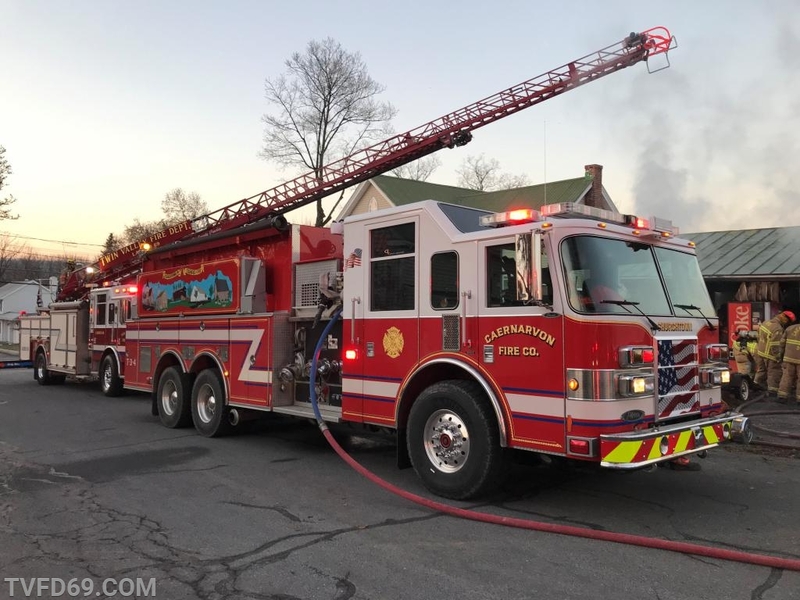 A "working fire upgrade" was requested by Chief 69 (Brooks), bringing Rescue 73 (Ludwig's Corner FC) for an air bank and Medic 93 (Brandywine). Chief 69 arrived confirming the report and established "Main Street Command". 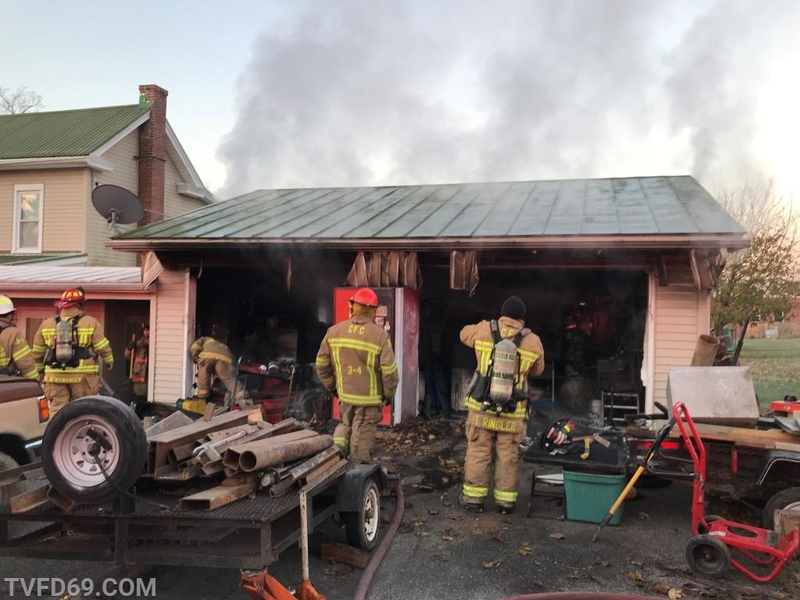 Crews from Station 69 and Lancaster 34 (Churchtown FC) arrived and began suppression on the garage, while also checking all occupants were safely evacuated and no fire extension was involved to the nearby home. 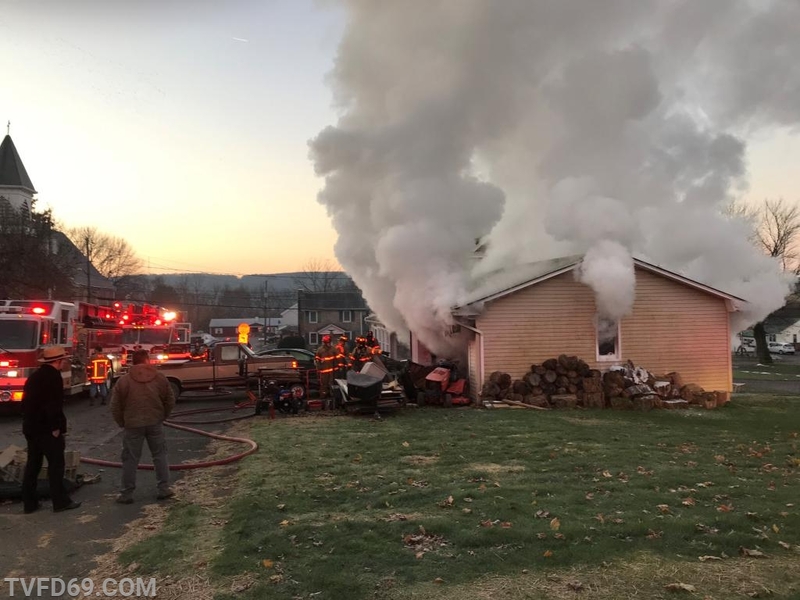 After the fire was brought under control, crews began overhaul of the smoldering contents and the utility company secured power to the building. 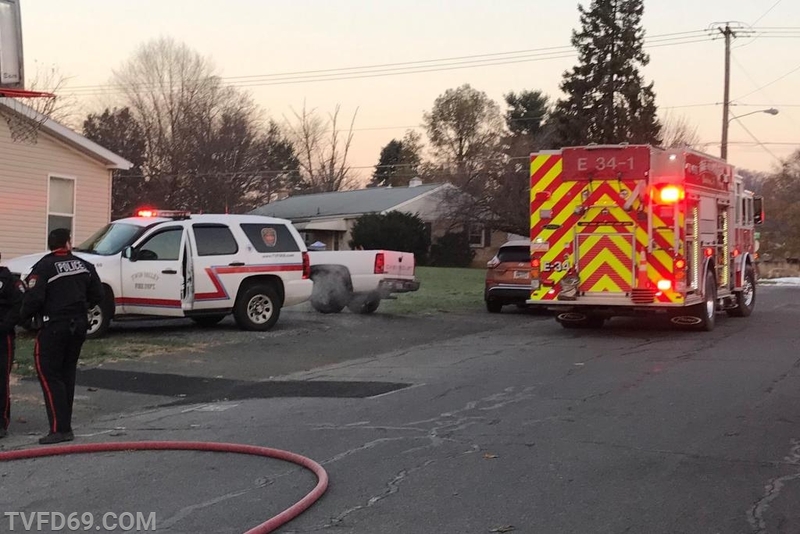 Rescue 73 was redirected to standby at TVFD to cover the area, and additional units were returned. 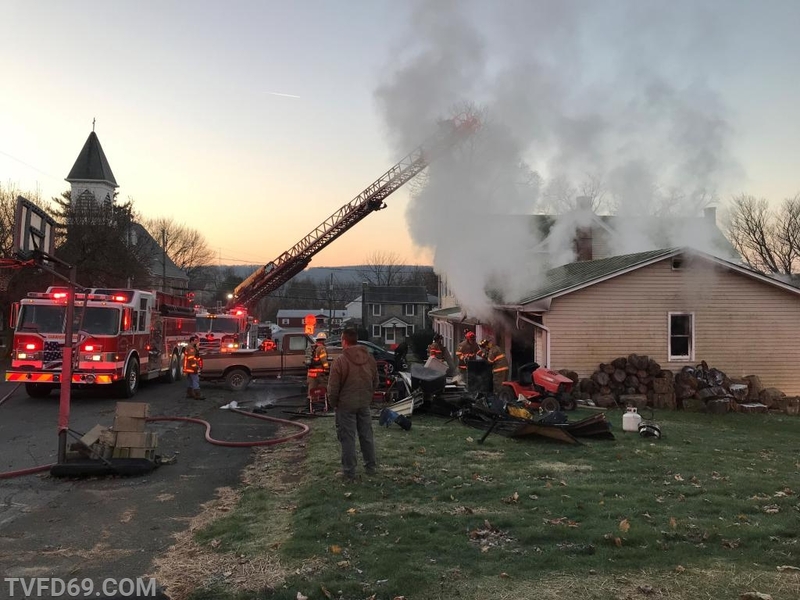 The State Police Fire Marshal's office and Caernarvon PD detectives conducted an investigation, and all units were cleared from the scene. 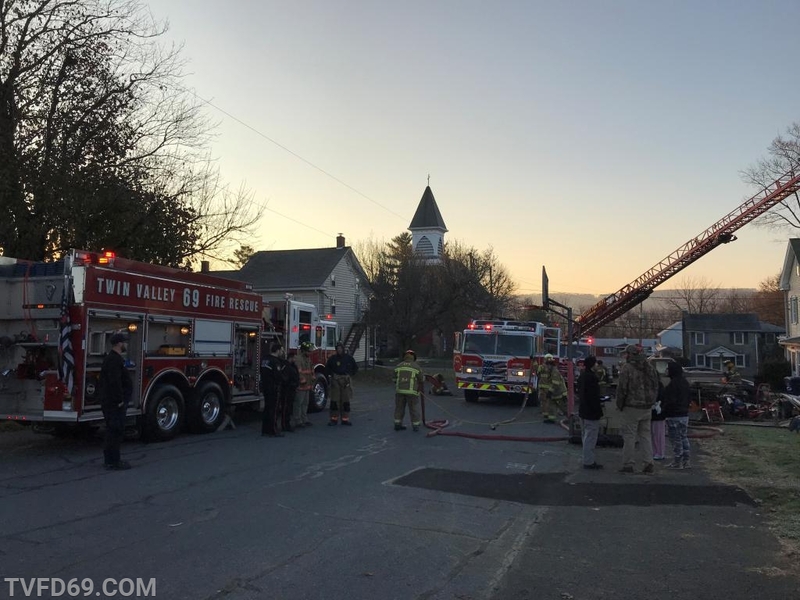 *Special thanks to our mutual aid companies for their assistance! Fine Job, Gentlemen! Thanks to all.